Did you know setting up your free Google Business Listing is one of the most important things you will do this year for your business? Joseph Danzer, a Google Certified Photographer and Google City Ambassador, is here to bring you a free presentation about getting your business online. Learn about getting listed on Google Search and Maps and making sure that when you are found that you look amazing. 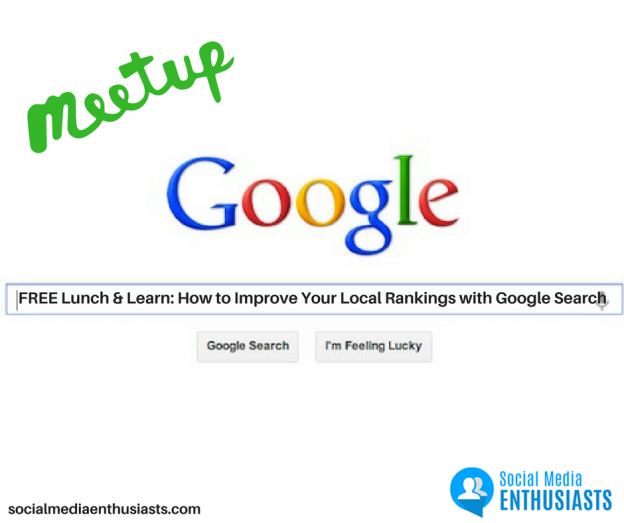 He will share strategies to get you on page 1 of Google! FREE executive lunch will be provided by Village Pantry Catering! So bring yourself, a friend, business cards and your think tank to this fun and engaging learning session. We will be giving away several Door Prizes.